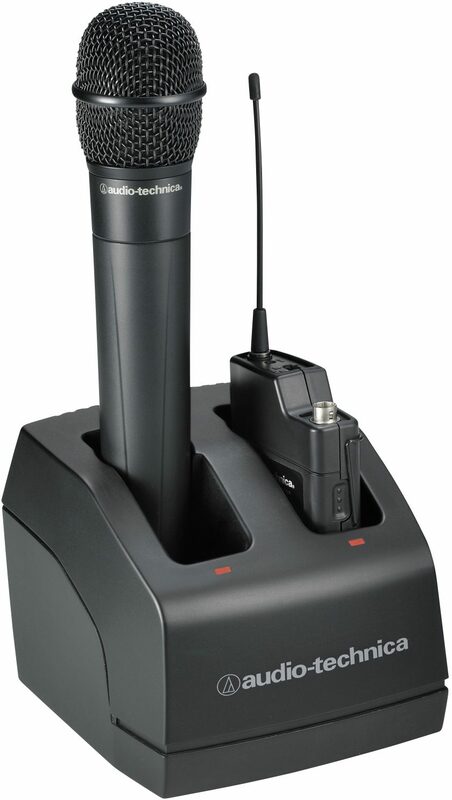 This two-bay recharging station provides power to recharge NiMH batteries in two ATW-T220a handheld transmitters and/or ATW-T210a UniPak(r) transmitters in any combination. Maintenance charging prevents battery self-discharge until the transmitter is removed from charger. The charger draws power from a standard wall outlet.